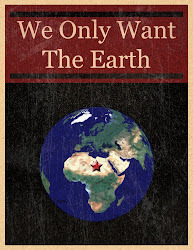 We Only Want The Earth: Globalisation. Myth or Reality? The term globalisation is one that is used with ever increasing frequency as if it had a universally accepted meaning and definition. According to Modelski, globalisation is a historical process which is characterised by a growing engagement between peoples on all corners of the globe (Modelski, 2003, pp.55-59). However, as Heywood points out, it can refer to various things such as processes, policies, strategies, an occurrence or an ideology. He suggests, its elusive meaning lays in the fact that it “is not so much an it as a them” (2007, p.143). The reason for the elusiveness of the term is that, as Heywood pints out, it involves many different facets which many different academics proclaim as its defining features. So, what are these facets of globalisation? Held and McGrew attempt to outline a consensus by suggesting that globalisation involves a time-space compression due to electronic communication, an accelerating interdependence between national economies and societies with those of other states, a shrinking world where borders are less relevant to socio-economic activity and an increasing interconnectedness of cultural, economic and political worlds (2003, pp.3-4). This provides the best summary of what globalisation is and what it involves; however, different perspectives on globalisation view these processes in different ways and provide competing explanations of their significance. The first of these to be outlined is the hyperglobalist perspective (Held et al, 2000). The hyperglobalist perspective is the one that takes the most fervent view of the globalisation process. From this perspective, globalisation defines a new era of history in which the nation-state is becoming increasing irrelevant in a global economy. Adherents to this view see globalisation as “bringing about a denationalisation of economies through the establishment of transnational networks of production, trade and finance” (Held et al, 2000, p.3). From this viewpoint, global capital and the neo-liberal market system is the most important feature of the globalisation process. At the core of this view is how the capitalist system permeates into all corners of the globe, spreading its influence. The hyperglobalist perspective also suggests that we are now entering into a period of global governance, with institutions such as the International Monetary Fund (IMF), The World Trade Organization (WTO) and The World Bank in conjunction with multinational corporations (MNC’s) in many ways superseding the traditional power base and sovereignty of the nation state. This argument holds particular salience in countries such as Greece and Ireland today as IMF intervention in their economic affairs is seen as an erosion of national self-determination. The hyperglobalist perspective would also point to the growth of a global civil society, where non-governmental organisations (NGO’s) such as Greenpeace and Amnesty International play an increasing role in the agenda setting in world politics. On a cultural level, the hyperglobalist perspective sees an emergence of a “global popular culture” (Held and McGrew, 2003, p.38) and an increasing interpenetration of cultures across the globe. This global culture flow is facilitated by the growth cheaper travel and of mass media such as the internet and satellite television, with events in one corner of the world instantly accessible for viewing in another. This contributes to the mass dissemination of ideas, music, art and food from one culture to another, creating a world without borders and a breakdown of cultural barriers. While the hyperglobalist perspective sees these related events as positive, the perspective also acknowledges that globalisation has created inequalities, but sees these remedied by further processes of capitalist market expansion. So, from the hyperglobalist perspective, the contemporary world is massively globalised and will continue onwards on this trajectory into the future. This will create a global age, with global governance and the end of the nation state (Held et al, 2000, p.10). However, not everyone agrees with this perspective, as the transformationalist perspective shows. The transformationalist perspective in many ways takes the middle ground in the globalisation debate between the hyperglobalists and the sceptics (Giddens, 2009, p.138). For transformationalists, globalisation is something that is occurring and is changing the face of modern societies, however, while change is occurring, the transformationalists argue that many things remain the same. In contrast to the hyperglobalists, the transformationalists still see nation states as retaining much power to steer their own course in a global economy. So for example, while the global capitalist system reaches into most parts of the globe, nation states still have the power to set their own economic policy and taxation policies. On a political level, instead of being all-consumed by a system of global governance where power and sovereignty are eroded by global institutions, the transformationalists such as Rosenau suggest that “governments are being forced to adopt a more active and outward looking stance towards governance under the complex conditions of globalisation” (Cited in Giddens, 2009, p.139). This view suggests that nation states have to adapt and interact with new actors, social movements, institutions and international bodies on the global stage, and rather than losing power, nation states are adapting to this process. On a cultural level, the transformationalists see a two-way dynamic happening where “global migration, mass media and telecommunications are contributing to the diffusion of cultural influences” (Giddens, 2009, p.139). From this view, whilst western cultural influences do penetrate into many corners of the globe, evident in western brands such as McDonalds and Coke being available in many places, there is also a counter flow of non western culture which is evident in the number of foreign restaurants in any major town and city across the globe. This is also evident in an internet and satellite age, where the spread of ideas on an intercultural basis is occurring at a faster pace than ever before. So, rather than a cultural imperialism as the hyperglobalist perspective may suggest, what we are in fact witnessing is cultural exchange in a two-way dynamic. So what does this perspective say about the extent of globalisation? From the transformationalist perspective, the contemporary would is now more globalised than ever. However, unlike the hyperglobalist perspective, the transformationalists see this as an opportunity for cooperation and adaption for nation states, and an ever increasing cultural interpenetration from both directions. However, not all agree with this viewpoint and the sceptics have a wholly different perspective on globalisation than both the hyperglobalists and the transformationalists. The sceptical perspective on globalisation provides an altogether different interpretation of its impact on the world. What, they ask, “is the ‘global’ in globalisation” (Hirst, 1997, cited in Held and McGrew, 2003, p.4). Sceptics, like hyperglobalists, see the concept of globalisation in primarily economic terms. However, far from agreeing with them, the sceptics totally reject the notion of globalisation as anything essentially new. For sceptics, the concept of globalisation is a convenient ideologically constructed myth that helps justify the neo-liberal, free market capitalist system (Held and McGrew, 2003, p.5). In line with Marxist thought, many sceptics consider capitalism to be imperialist in its search for new markets. This line of thought was most prominently developed by Lenin in his “Imperialism: the highest stage of capitalism” (Lenin, 1996). According to this view, globalisation is nothing more than western capitalist imperialism. Modern globalisation only differs from the past in the level of interaction between nations, but this essentially is nothing new. From a cultural standpoint, a sceptic may argue that cultures have always mixed and shared ideas, and that this in itself constitutes nothing new. Modelski alludes to this when he suggests that globalisation began around 1000AD (2003, p.55). So, from the sceptical viewpoint, to what extent is the contemporary world actually globalised? The sceptics have argued that the current economic interdependence that characterises the global system is not without precedent, and would point to statistics from over a century ago to back up their claims (Held et al, 2000, p.5). The sceptics would also suggest that globalisation overstates its reach, with the current world economic system not truly global in its reach. In this context, sceptics argue that what we now have is increased regionalisation, with states within regions such as the European Union mostly trading amongst themselves. This, they suggest means we are less global, more regional. The sceptics would also point to the marginalisation of periphery countries in the developing world, and the massive poverty that exists in the world as evidence that globalisation does not reach all. In putting forward these viewpoints, the sceptics stand in stark contrast to those of the hyperglobalists and the transformationalists. So, the three perspectives of globalisation each put forward differing viewpoints on what globalisation is, but are they in agreement on any points? For each perspective, the global capitalist system seems to be the core defining, driving feature of what globalisation is. Although each perspective takes a different slant on this, all seem to concur that the capitalist free market based world economy is at the core of what globalisation is. Each perspective differs however on how the globalisation process impacts on politics. The hyperglobalists argue that globalisation is leading the world into a period which will see the end of the nation state and the emergence of a global governance system. The transformationalists on the other hand reject this idea, and instead claim that the nation state is still relevant in a globalised world, but needs to adapt to the challenges that the increasing flows of capital and culture impose. The sceptics agree that the nation state is relevant, but in contrast to the transformationalists they suggest that it has not become any less relevant by the supposed globalisation process. Instead they argue that they nation state still holds supreme sovereignty to impose taxes, regulate and control its economic affairs. On the issue of cultural flows there is again divergence amongst the perspectives. For hyperglobalists, the path towards a homogenous world culture is inevitable as globalisation develops. For transformationalists, the process of globalisation is creating a world community of diverse cultures whilst for the sceptics, cultural interaction and integration is nothing new. On the question on the extent the world is actually globalised, there is also agreement and disagreement. For both the hyperglobalists and the transformationalists, the contemporary world is more globalised than ever before, with economics, politics and culture never more connected than in this age of mass media, internet and rapid communication. Globalisation, they argue, has touched every corner of the globe, and will continue on that trajectory into the future. For the sceptics however, the world is not actually globalised but is instead regionalised. To back up this claim, they point to the massive inequalities between countries in the western world, and those in the developing world. Giddens, A. (2009), Sociology, Cambridge, Polity Press. Held, D. and McGrew, A. (2003), ‘The Great Globalization Debate: An Introduction’ in Held, D. and McGrew, A. (2003), (eds), The Global Transformations Reader, Cambridge, Polity Press. Held, D., McGrew, A., Goldblatt, D. and Perraton, J. (2000), (eds), Global Transformations, Politics, Economics and Culture, Cambridge, Polity Press. Heywood, A. (2007), ‘Politics’, Hampshire and New York, Palgrave and Macmillan. Lenin, V.I. (1996), ‘Imperialism: the Highest Stage of Capitalism’, London, Pluto Press. Modelski, G. (2003), ‘Globalization’ in Held, D. and McGrew, A. (2003) (eds), The Global Transformations Reader, Cambridge, Polity Press. Wow! thank you very much. This information really helped me study for my upcoming test. Keep it up. wow i was not able to understand this now..i am good. hopefully all this things sinks in have a test in 20 minutes.